Over 23,000 Italians were recruited to find out whether pasta consumption is fattening. Eating pasta doesn’t contribute towards gaining weight and obesity, a surprising new study finds. The large-scale study reveals that pasta consumption can actually reduce the chance of abdominal obesity and total body fat. Lately pasta has been disfavoured and, as part of some aggressive ‘’do it yourself’’ diets, led individuals to avoid its consumption. “We have seen that consumption of pasta, contrary to what many think, is not associated with an increase in body weight, rather the opposite. Several studies have suggested that the Mediterranean Diet is a healthy nutritional diet contributing to weight control. However, the basic component of pasta and its specific role were not clear until this study filled the gap. 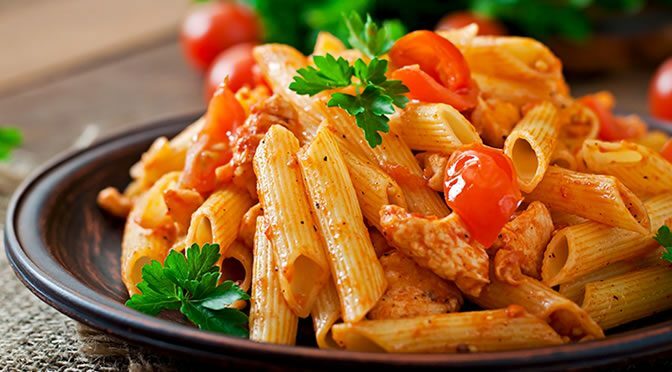 “Pasta is often considered not adequate when you want to lose weight. And some people completely ban it from their meals. In light of this research, we can say that this is not a correct attitude. We’re talking about a fundamental component of Italian Mediterranean tradition, and there is no reason to do without it. The study was published in Nutrition & Diabetes (Pounis et al., 2016).